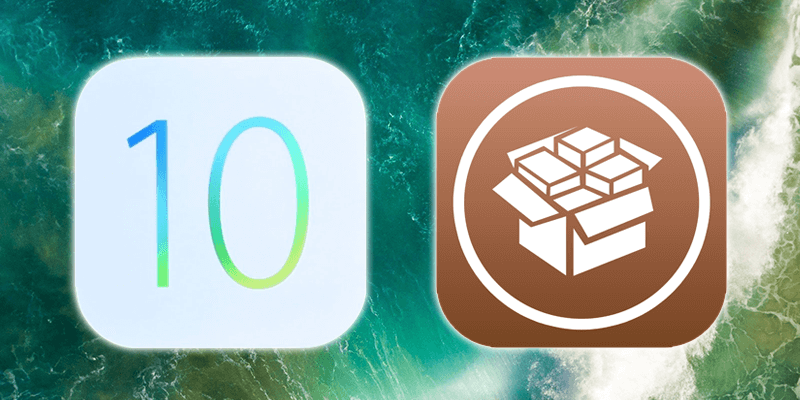 This post talks about the process you should follow to jailbreak iOS 10.1.1 / 10 on compatible devices with Cydia Impactor and mach_portal + Yalu jailbreak. Before going ahead with the jailbreak Luca Todesco has launched on the basis of the Project Zero exploit released by Ian Beer, you should know which firmware versions and devices are supported. Also, take note that this is a semi-untethered and beta jailbreak, so expect bugs, and the jailbreak mode needs to be re-entered after all reboots. The supporting firmware and devices are: iPad Pro on iOS 10.0.1-10.1.1, iPhone 6s/6s Plus on iOS 10.0.1-10.1.1, and iPhone 7/7 Plus on iOS 10.1 / 10.1.1. 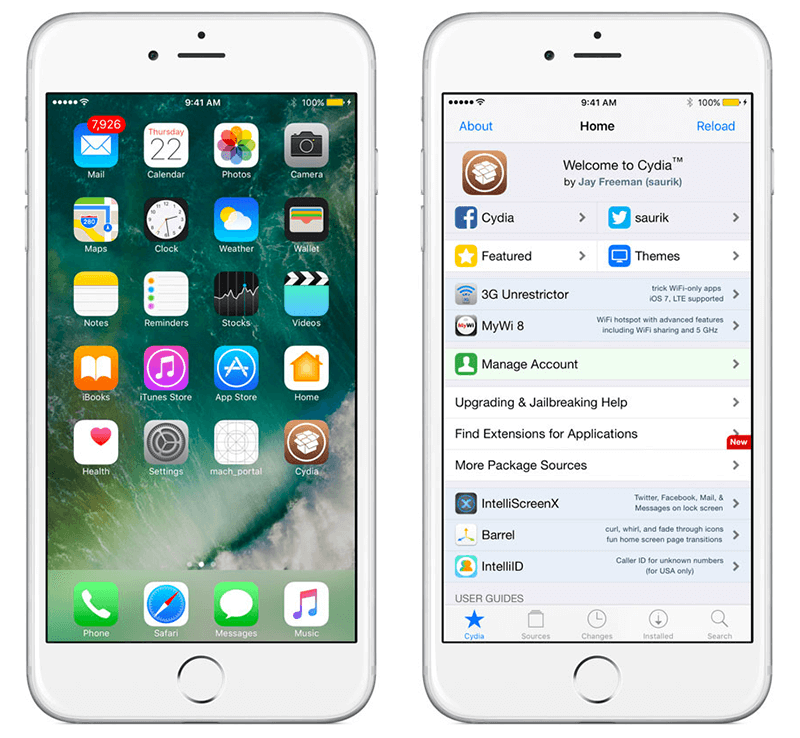 Download Cydia Impactor from our downloads section. Download the newest iTunes version or update the current version. Have a computer on macOS or Windows. Have a free Apple ID or developer ID. An Apple ID can be registered on appleid.apple.com. Get Luca Todesco’s iOS jailbreak IPA file from this link. Step 1: With a USB/lightning cable, connect the iPad/iPhone to the Mac/PC. Step 2: Use iTunes to make a complete backup to ensure you can restore the contents in case the jailbreak malfunctions something. Step 3: Deactivate Passcode/Touch ID on your device. Go to Settings – Touch ID & Passcode to do so. 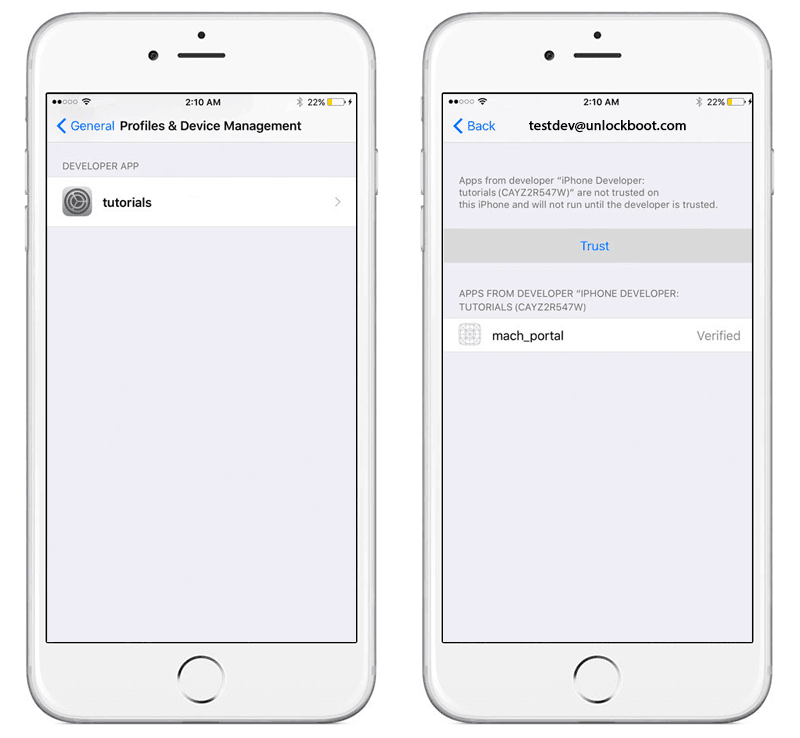 Step 4: Deactivate Find My iPhone by going to Settings – iCloud – Find My iPhone. Step 5: Open Cydia Impactor. Step 6: Drag and drop the IPA Yalu file in the window for Cydia Impactor. Step 7: Enter Apple ID & password when prompted by Cydia Impactor. Step 8: Wait till Cydia Impactor installs the jailbreak app on the device. Step 9: After installation, disconnect the device from PC by going to Settings – General – Profile(s) and Device Management. Alternatively, this can be done by going to General – Device management – tapping Trust – and tapping Trust again on the relevant certificate. Step 10: Open the jailbreak app “mach_portal” from the Home screen and be patient or some seconds. After the process completes, the device resprings, with Cydia on the Home screen. Remember, this is a semi-untethered jailbreak, so Step 10 will be needed to be repeated after each reboot to put device again in jailbreak mode. And with a free Apple ID, the jailbreak expires in 7 days, so then you’ll need to re-do the steps from Step 5 onwards. No tweaks or settings are lost during a repeat. Those with a developers ID can enjoy the jailbreak up to 1 year.